Printer: Grafiche A. Pizzi, Italy. Tessuti: Borgomaneri, Dondi Jersey, Giovanni Canepa, Isa Seta, Jackytex, Lessona, Solbiati, Mauro Spriano, Torello Viera, Vivatex. 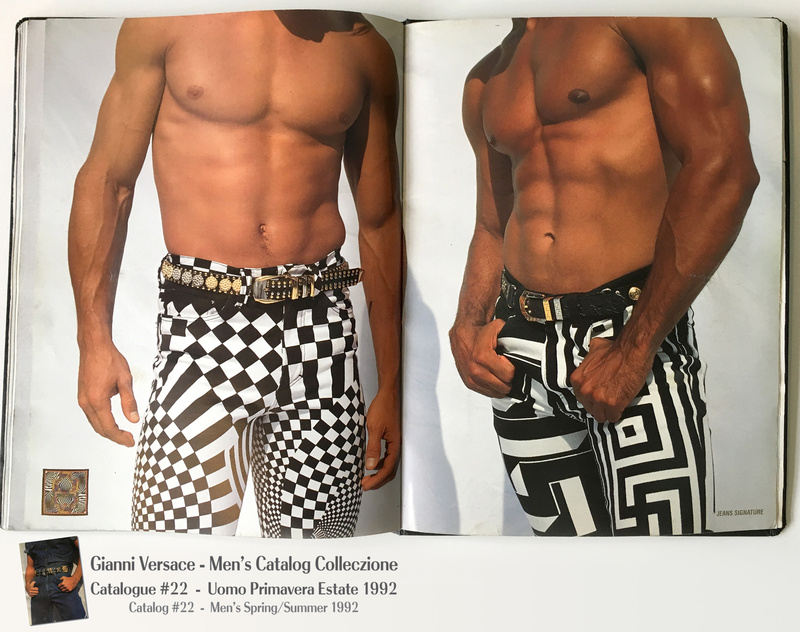 For each season since the fashion house inception in FALL 1981, Gianni Versace has released fantastic large format catalogs to showcase his vision for each season for both the men’s and woman’s collection. 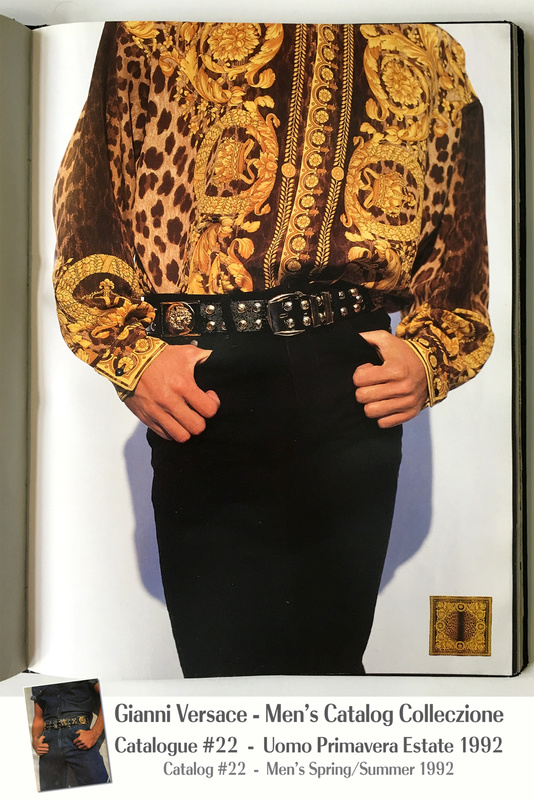 These catalogues are as much art books in photography as they are a testament of Versace’s fashion legacy. They have the same attention to detail and extravagance as his runway fashion shows. Hiring the best photographers for each book and the best supermodels of that era, they are a testament to Fashion in the 90’s. 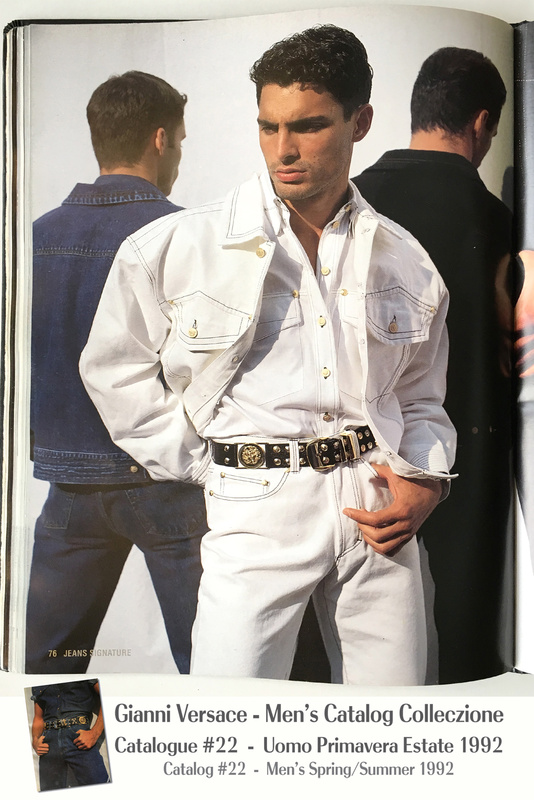 All of these catalogs were only available to top clients who visited the designer’s boutiques during the season they were produced. I remember that when traveling to a new city that had a Gianni Versace boutique I would always go and ask for a catalog regardless of whether I purchased anything at all, which I usually didn’t, since at that time I was graduating from high school and my budget did not permit me to enjoy in actually wearing the clothes, so I dedicated myself to window shopping and collecting these catalogs. 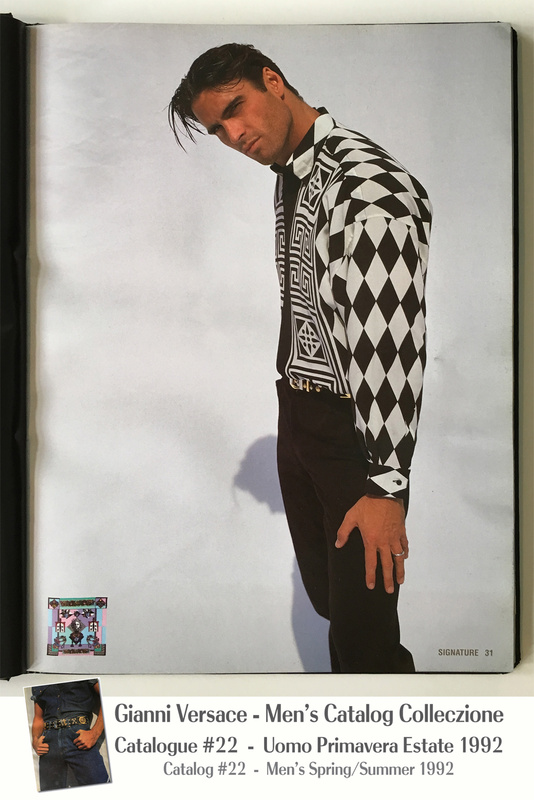 This catalog for the Spring Summer 1992 was the first catalog a photographer friend of mine was able to give me. 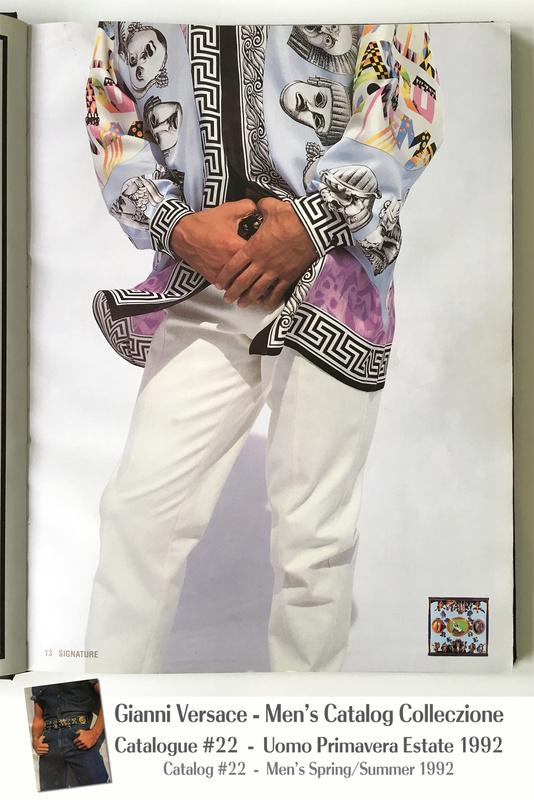 I think this collection best describes what Gianni Versace was doing at his pinnacle in fashion, right before the Miami collection exploded. 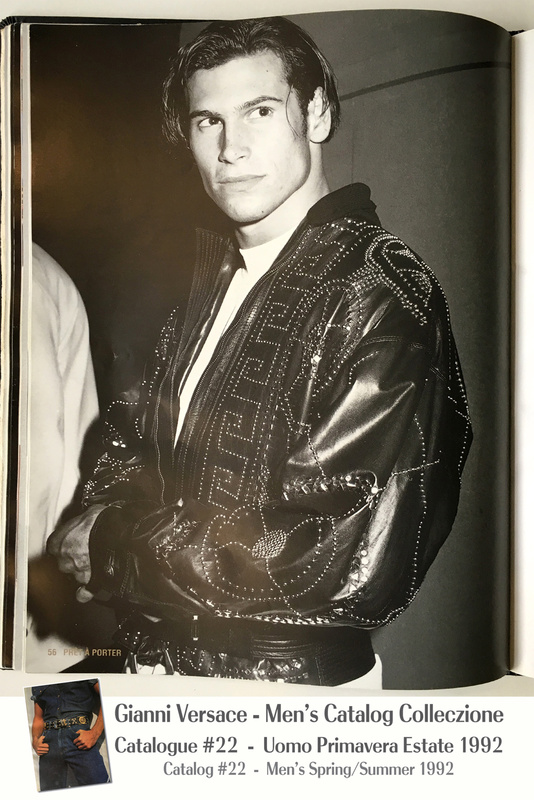 Its around this time that his fashion shows created the supermodel and his use of baroque silk scarves were incorporated into men’s fashion like never before. Silk shirt with Canova scarf print. Black and white geometric printed silk shirts. Jeans Signature: Classic Denim Jeans. Signature: Use of Silk scarves to produce long sleeve shirts that at the time retailed for about $1,200 if I am not mistaken. Pret a Porter: His ready to wear line of Suit seperates in solid colors and Denim Jeans. Lots of black and white geometric pattern suit sport jackets and silk shirts. Lots of Greek Key patterns on shirts and belts. Striped Jackets. Leather Jackets and vests with lots of zippers. Classic shoes with Medusa and Greek Key adornments. Hollywood Waistband Underwear in black, Denim Jackets in Red, Yellow, and Blue. Silk Print boxers and bathing suits. Printed Denim Jeans in geometric black and white patterns and also in scarve prints. 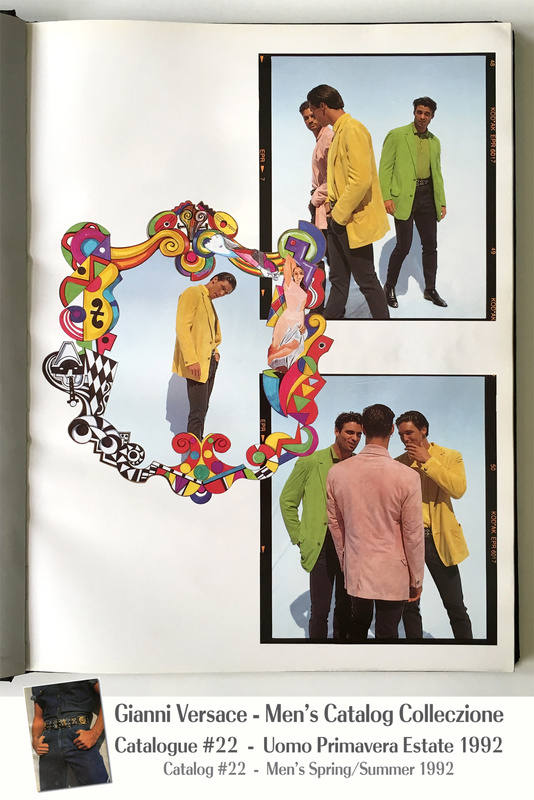 Profumi: Introduction of Versace L’Homme, Eau de Toilette. Accessories: Classic Medusa head and rivits belts in black, studded in gold and silver medusa heads. Orologi Wristwatches in stainless steel. Recap of all that seasons silk scarves. 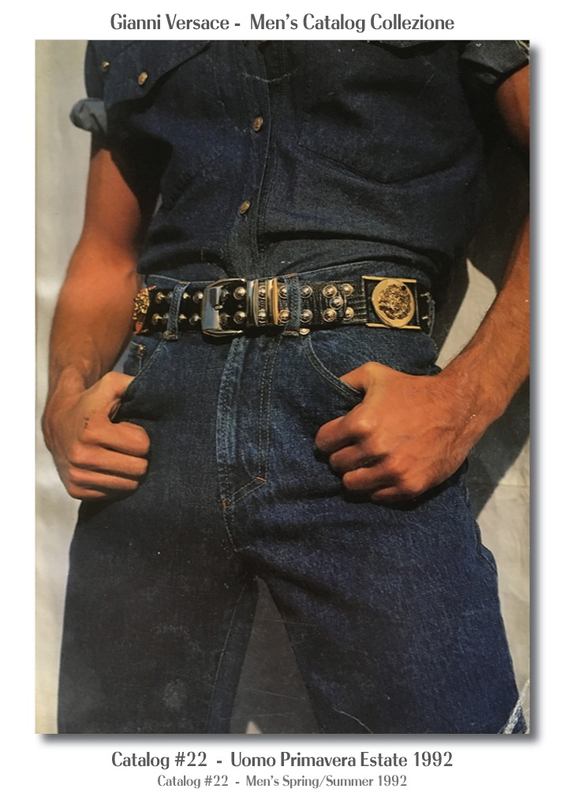 Denim outfits in white, blue or black. Medusa belt. The most classic Scarf Print in a shirt, the Leopard Baroque. Leather Motorcycle jacket with Greek Key pattern studded. Model showing underwear collection with Hollywood printed on the waistband. Shirtless model showing black and white geometric print denim jeans. 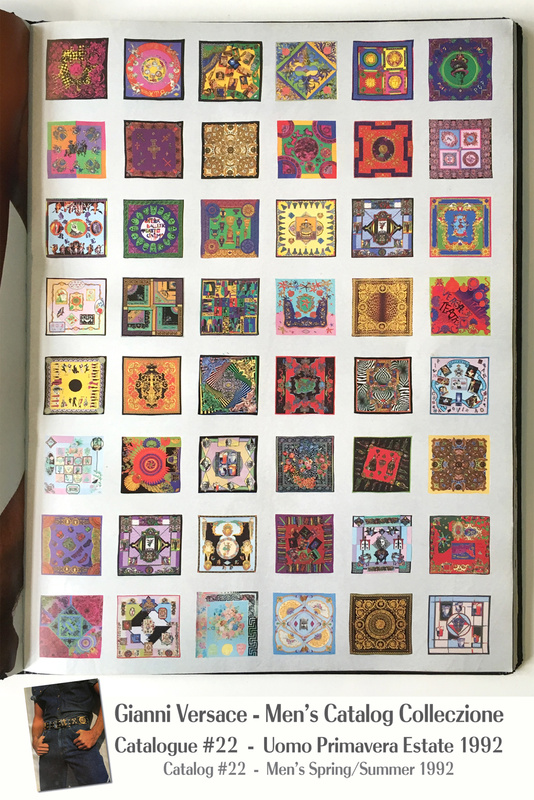 A Sample of the Foulard Silk Scarf collection of 1992.